Minakami is quaint little mountain town in the north of Gunma Prefecture. Just a short drive or train ride from Tokyo, it's perfect for a stress-free weekend getaway from the busy capital. 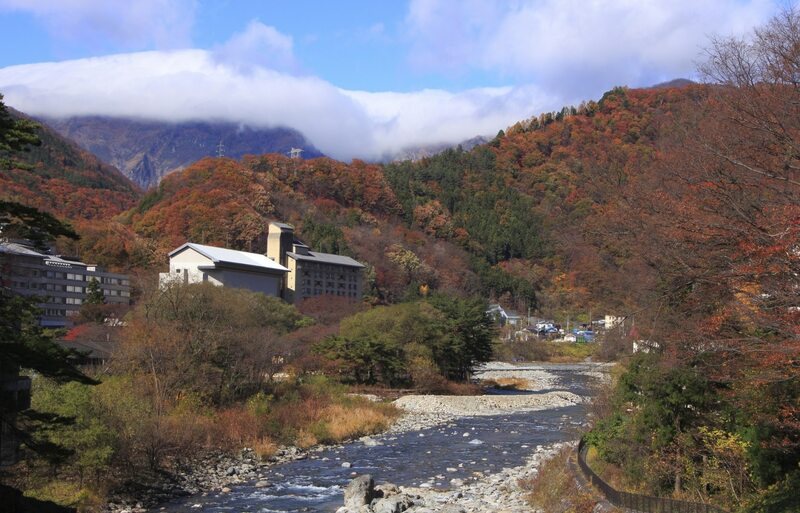 The scenery is beautiful, the onsen are plentiful and the changing seasons bring about a eclectic mix of outdoor adventures and thrilling activities. Minakami's natural beauty is one of its major highlights. Nestled on the banks of the Tone River's upper reaches, and surrounded by the mountains bordering Niigata Prefecture, the scenery is truly something to behold. In the autumn and early winter the rusty fall foliage is juxtaposed against snow dusted mountain peaks, offering up an incredible visual backdrop to the town itself. As winter sets in, Minakami is blanketed in snow, which creates a festive wonderland—and of course ushers in the yearly ski season. In spring when the snow thaws it, paves the way for the natural wonder of the Japanese cherry blossoms, with a 450-year-old cherry blossom at the nearby Hie Shrine. When summer finally rolls around, you get some of the freshest air and coolest temperatures that you'll find on Honshu in Japan's typically hot and sticky season. So, regardless of the time of year, if you've got a couple of days free, we highly recommend a visit! Minakami has an embarrassment of riches when it comes to onsen (traditional Japanese hot spring) options, with 18 springs within the town alone. The area's bountiful resources of natural geothermal water has lent itself to the creation of many local onsen, so much so that it's been dubbed "Water Shangri-La." They come in the form of public bath houses, ryokan (traditional Japanese hotels) with hot spring facilities and relaxation spas. Some of the onsen are shared while others are private, and some are indoors where others are open to the elements and provide stunning views of the surrounding vistas. Whatever your inclination, Minakami spoils you for choice in the hot spring department. Although it can be little pricey, a stay at one of the ryokan with a private rotenburo (outdoor bath) in your room is unbelievably luxrious. Soaking in your own tub of steamy water among the natural beauty of the area is a one of kind experience, and one worth splashing a bit of cash. Plus, if you want to bathe with your significant other, then you may have to go down this route as onsen are traditionally separated by gender. If you go for the ryokan option, you'll also have the chance to enjoy delicious kaiseki ryori. These small plates of meticulously prepared dishes are tastiest when accompanied with a selection of local sake, of course. As mentioned, the change in season also provides a rotating list of outdoor activities in Minakami. Given the variety, there should be something in here for everybody! In the winter and early spring Minakami is a ski resort town—and a stunning one at that. Minakami Kogen Ski Resort, Okutone Snow Park and Norn Ski Resort are all just a stone's throw away. They also offer slightly cheaper skiing options when compared to well-known resorts in Nagano, Niigata and Hokkaido—all with some top-drawer ski slopes! In the warmer months of the year the Tone River turns into a popular white water rafting route. High-octane activities like bungee jumping and paragliding are also available for the thrill seekers out there. 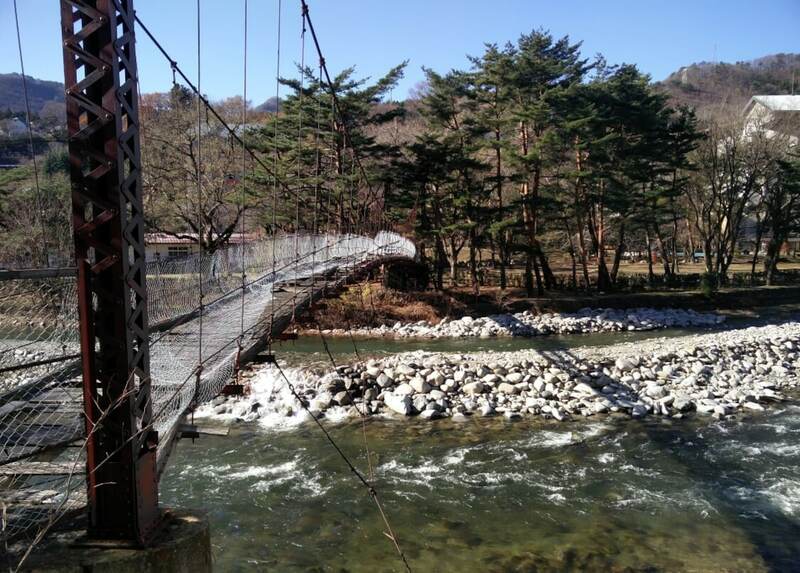 If you prefer something more leisurely however, a walk among the nearby Suwakyo Gorge will not disappoint. Or, perhaps a round of golf? Gunma Country Club, Minakami Kogen Golf Course and Gold Echigo Yuzawa Country Club are all nearby! Minakami is about a two hour drive from Tokyo, which is great if you have a car. However, trains are also frequent, though a one-way trip can take up to three hours depending on where you start. From Tokyo Station take the Joetsu Shinkansen to Echigo-Yuzawa Station. There, switch to the Joetsu JR Line to Minakami Station. A one-way ticket costs ¥7,120, though the entire route is eligible for use with the JR Pass.